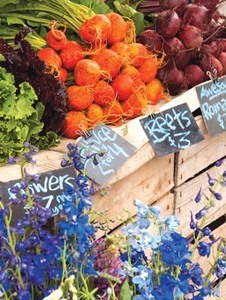 Sunday, August 12 is the Winsted Farmers Market, taking place from 10 a.m. to 1 p.m. in Rowley Field. Farms and vendors this week include Barden Farm, Better Baking By Beth, Boy Scout Troop 1027, Bristol's Farm, Husky Meadows Farm, March Farm, Nakoma Farm, and Ridge Runner Soap Co. This week CHAMPS After School Program will be on hand with kids activities and registration details for the upcoming school year, and Free Kids Yoga (ages 8-13) continues, led by Stephanie Thibault from 10 to 10:45 a.m.